Oakridge BBQ (Kearney, MO) is nationally recognized by BBQ competitors and connoisseurs. Few rubs have gained more acclaim or won more awards on the competition circuit than Oakridge. These rubs are hand made in "micro-batches" using only top-shelf, all natural ingredients. Oakridge BBQ is owned an operated by Mike Trump. Mike claims to have been involved in BBQ since he was ten years old. He's a very accomplished BBQ competitor that was set on creating his own signature rubs for competitions. A self proclaimed perfectionist, Mike's commitment to quality is evident in every Oakridge product. He and his company back their rubs with a 100% satisfaction guarantee. Currently, Oakridge BBQ features six different blends targeting everything from pork to wild game. Each rub (aside from Habanero Death Dust) is packaged in attractive six ounce gold pouches. The back of each package is clear making the spice blends visible. This week, I used Oakridge BBQ's Secret Weapon Pork & Chicken Rub on multiple occasions. Their newest competition style rub, Secret Weapon features a great mix of standard and exotic herbs and spices. The flavors are equal parts sweet and savory with just a hint of spicy heat. A mix of paprika, ancho, chipotle and guajillo chilies give the rub an added smokey / earthy dimension that many pork and chicken rubs don't have. I used the rub on smoked chicken quarters early in the week. The rub was the perfect blend of flavors for the hickory smoked poultry. The spices created a delicious savory crust on the skin. The salt content was also perfect. All the flavors were right on point. They were strong enough to hold their own when the chicken was sauced, but acted in a complimentary manner rather than dominating the chicken. In addition to chicken, I also put the rub to work on a spareribs. I slow smoked a rack of spareribs with cherry wood and seasoned it liberally with Secret Weapon. Once again, the rub was just about perfect. I was concerned about the salt content, but the results proved I had nothing to worry about. With the help of Oakridge BBQ and some new techniques, this week's ribs were the best I've ever made. After putting Secret Weapon to the test, it's easy to see why Oakridge BBQ has gained so much acclaim. Secret Weapon is one of the finest BBQ rubs I've had the opportunity to use. There's no doubt it's competition quality. 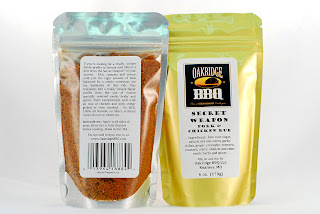 I can't wait to test out Oakridge BBQ's other rubs. Secret Weapon has set a very high standard. 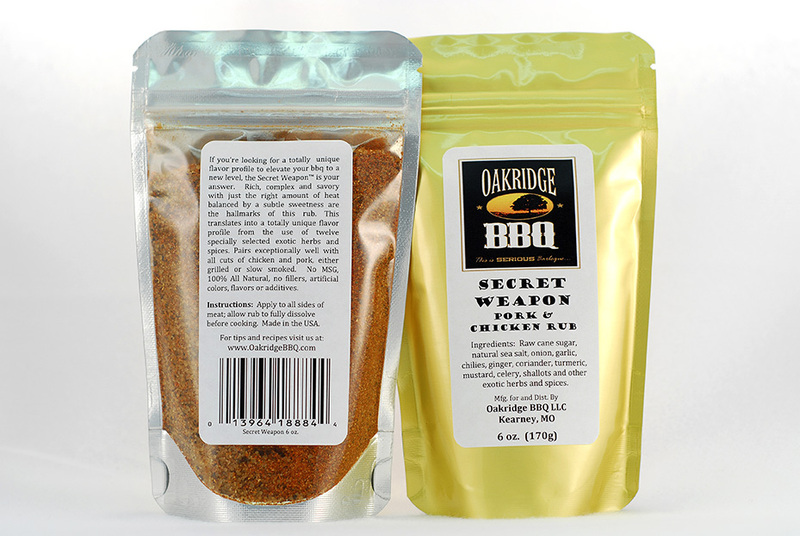 0 Response to "Oakridge BBQ Secret Weapon Pork & Chicken Rub"